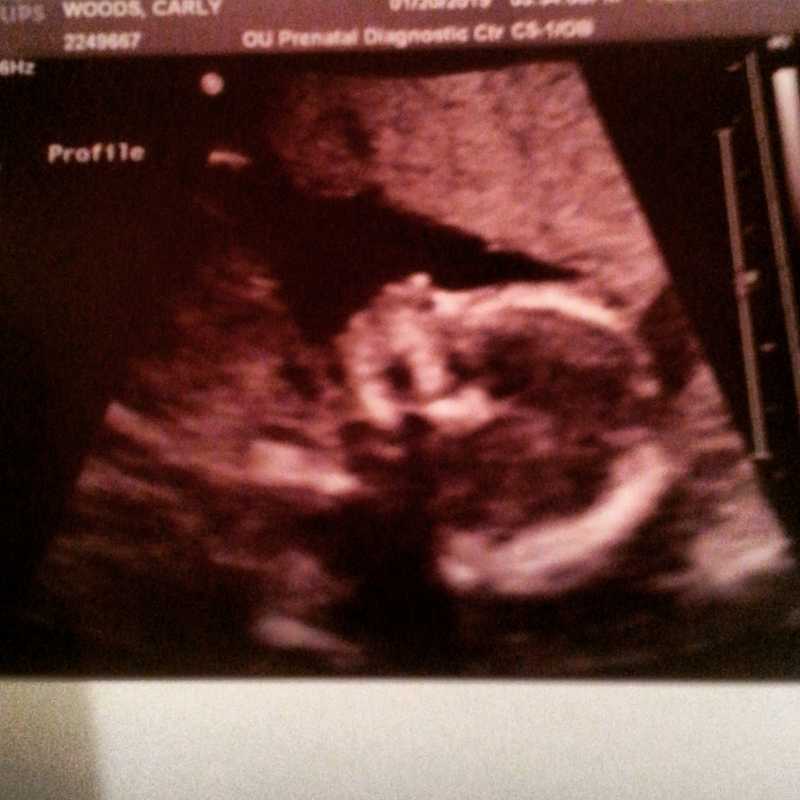 Im doing good...im due June 19th so 23 weeks now! Your not to far behind me Ive been getting IVIG about every 3-4 weeks but this last time it didnt help much my count only went up to about 65 so nervous im gonna have to start getting it more often the closer i get to my 3 rd trimester. Baby girl is doing good they have told meand we have decided to name her Aubrey Lane! Hope your doing well and i pray you dont have to get treatment! Ah - that's a lovely name Carly! & a great scan pic!! Glad you're still doing well. Shame the ivig seems to be having less of an effect now though. Are your symptoms ok in the 60's? How long will they stay "up" for on average after ivig? Lowest count 1. Highest count 207 (ivig) Indium scan showed predominantly splenic destruction. No meds currently, just seeing how things go. "Life isn't about waiting for the storm to pass - it's about learning to dance in the rain". Hi ladies, sorry I have been gone for a bit. I had a beautiful baby girl a few weeks ago. She came a few weeks early but she is in great health. Ok, so a few days before i went into labor my plt count was 2k. I went and got IVIG three days after finding out my count was low. i took the ivig and went home. Was in great spirits that evening then my water broke and labor started. I went back to the hospital and they told us to prepare for delivery. I was in total shock as I wasn't mentally ready. Anyway, they gave me meds to slow down the progression of my labor so that I could take more IVIG. They wanted my platelets at atleast 50K before delivery incase they had to do a C section. On the third day, i was left to just labor naturally no meds while i took my last dose of ivig. My birth plan was to go natural anyway but i was exhausted from 3 days of painful labor. On the 4th day they told me they were ready to take her out and will induce labor if i wasnt progressing. I was so exhausted at this point from the pain. My plts too had gotten over 100k with the ivig so they gave me an epidural. From this point I felt relief and took a short nap . A few hours later I pushed my little one out. She was worth it. Post partum my platelets have been dropping. Doc is trying to wean me off prednisone and only wants me to get counts done if I have active bleeding. I will ask for a cbc soon because i feel my counts are low, having symptoms. Good luck everyone with your delivery. It is worth it. Hang in there!!!!! Congratulations mdgal!!!! That's great news! So good to hear you & baby are well! Would love to see a pic if you get chance. Did your daughter get a platelet count? Were her counts ok? Yes my daughters bloodwork was all normal. I was also encouraged to breastfeed so I have been doing that too. Glad to hear all went well....im 28 weeks so still have some time but have been realizing the ivig isnt really working to well i went from treatments once a month to 2X a month now having symptoms after only 1 week after my last ivig treatment....how early did you have her MDgal? I hope my next 10 weeks go by fast im getting real anxious! I didn't respond also so well to IVIG by the third trimester. She came in at 35 wks. Are you on prednisone? Hi ladies - how are you doing? Carly - how did your appointment go? Do you have a birth plan in place? Hope you're doing well. Mdgal - hope your platelet numbers have stayed in a safe range? Doing as good as i can be....im actually going to be induced in 6 days on May 22 @ 36 weeks my platelets have only been lasting about a week and my veins are becoming more fragile.....which is making me a little more depressed. They said the baby should be fully developed by then....hope you are doing ok im just house cleaning and preparing for the big day! Oh wow Carly - how exciting that you get to meet your baby in 6 days!!! That is amazing! Such a shame you're not feeling great & your platelets are still playing up, but the end is in sight & it will all be so worth it!! What treatment do you have planned for after the birth? I assume you can skip the ivig & do something else instead? I'm 15 weeks today, and finally feel safe to post. Hope you all are doing well. My counts have been higher so far at 80k, so we have been checking them only once a month for now. Wishing you all the best and lots of platelets! I am 3 months post partum and this ugly ITP is back. Platelets were going up nicely and suddenly tanked to 1K. So I will be trying Rituxan next. Somehow I missed the post about your delivery. Congratulations! What's her name? Thanks Sandi. Her name is Agnes. We had Aubrey May 30 @3:38am she was 5lbs 6oz and induced at 37 weeks....platelets went down so been in the hospital since May 20....happy to have my girl and hoping my platelets stay stable! Congrats to you guys and can't wait to hear more baby stories! Congrats Carly this is great news!!!! Congrats, Carly! MDGal, I hope your counts go up soon. My splenectomy was last August. I did end up getting Nplate once after surgery, but it only helped for the normal 3 weeks that it lasted pre-surgery. My counts were mid-30s through December, but we decided to try for baby and go untreated. So far, we haven't needed to treat. Hopefully it stays that way. I'm feeling pretty good, just normal pregnancy symptoms. Mdgal - gorgeous name. Sorry to hear your counts are dropping now - hope the rituxan fixes it for a while. Will you have to stop breastfeeding on rituxan? Carly - such a beautiful name & I'm so glad to hear your little girl arrived safely - congratulations!!! Hope your platelets stay ok! I am 33 weeks tomorrow & it's my last day in work! Woohoo!! I'm so happy that all of you girls are doing well and safely delivering! You are all proof that babies are very possible with ITP. Good luck Kat - you're almost there! You're so close! I hope you can continue to not treat. Good luck in these last few weeks! My counts have been stable. As for pregnancy symptoms, just nausea and extra fatigue. Afm - I'm 37 weeks today. My count is 87 and the plan is to wait for spontaneous labour. So now the waiting really does begin lol!! Good luck! We'll be waiting to hear! Almost there, Katsim! I'm still doing well. Platelets were 105 a couple weeks ago and I'll be 22 weeks on Wednesday, hopefully they stay up. Take care! My yellow bump turned blue when Luke Thomas arrived last night at 9.56pm weighing 8lbs and 8oz. My platelets on arrival were 89, but I was too late for any pain relief & had him with gas & air. His platelet counts were 92 at midnight & 98 at 5am so I hope the upward trend continues for him. Congratulations, Kat! I'm so glad that all went well! Give little Luke a kiss from me! Congratulations! Glad to hear all went well!